"I'm staring one of those decisions in the face and it looks back at me with historical eyes and it calls me a coward, a killer, a fraud. It wants me to crack, and run from the service of my fate like a broken boy." — "Darthy," Episode 5.12, "Sons of Anarchy"
FX's "Sons of Anarchy," returning next week for a sixth season of mayhem and motorcycles, may have started life as a riff on the Shakespearean tragedy of "Hamlet," but it's increased in popularity over the last few years by embracing an even-older storytelling model, offering viewers a cathartic vision of drama that dates back to the ancient Greeks. Punctuated with extreme violence unmatched by anything on television right now, Kurt Sutter's vision of the corruptible nature of power and the fatal flaw of loyalty has amassed a remarkably devoted following and it returns to FX with that thematic commonality with Greek tragedy fully intact, as death, despair, and the heavy weight of crushing fate dominate the first three episodes of the new season. "Sons of Anarchy" quite transparently began as a riff on the tale of Shakespeare's melancholy Dane. Set amidst the power struggles of a California gang known as the Sons of Anarchy Motorcycle Club (SAMCRO for short), the show opened with Jax Teller (Charlie Hunnam) stepping into the oft-worn shoes of Hamlet, playing a man haunted by the recent death of his father, who, as Jax reads his manifesto, we hear in narration, not unlike the ghost of Hamlet's dear departed dad. Jax's mother Gemma (the perpetually underrated Katey Sagal, a Golden Globe winner but annual Emmy snub) has married Clay Morrow (Ron Perlman), who has become the new head of the Sons. From very early on, it's implied that Jax's mother and uncle may have had something to do with his father's death and supporting characters even began to parallel "Hamlet" beyond the obvious central mother, son, and devious uncle dynamic. From the fact that Clay and Gemma even have names that mimic Claudius and Gertrude (leading many to wonder if Opie equaled Ophelia and Piney was to meet the same fate as Polonius) to the two-part season four finale titled "To Be," Sutter and his team openly played with their stated inspiration, rarely copying it outright but tweaking viewers who could make the connections by adding another layer to the drama. In season five, the violence and intensity of "Sons" was amplified notably and the season ended up the highest-rated to date—partially due to more attention-grabbing storylines but also due to the brilliance of having a show like this one available on Netflix streaming, a move that more and more networks are learning leads to higher ratings for newer episodes. "Sons" had always been a pitch black program, killing off major characters at a rate that kept viewers constantly uncertain as to who would make it to the next episode and often shocking fans in its willingness to brutally punish its own protagonists. 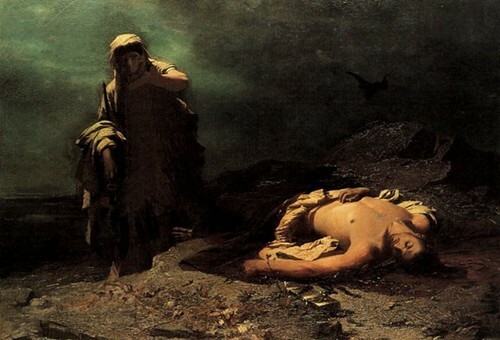 However, as the program distanced itself from its direct Shakespearian influence, it embraced an even older model of tragedy, offering viewers the catharsis of pity and fear, two key elements of the Greek tragedy form as defined by Aristotle, while continuing to detail how the error of human conditions like emotion and greed lead to death and despair. And, of course, all of these tragic events were inexorably tied to the inevitability of fate. This newest season of "Sons of Anarchy" definitely opens with a sense of "Heavy hangs the head that wears the crown" as the club faces even more tragedy that threatens to destroy their way of life, particularly Hunnam's Jax Teller who has tried to leave the gang numerous times, but who always finds himself pulled back into a position of power. Jax and Gemma framed Clay at the end of season five for the murder of Damon Pope, the last-season villain who escalated the tragedy of "Sons of Anarchy" to such a degree that he burned a man's daughter alive in front of his face and set in motion the events that led to the death of fan favorite Opie (Ryan Hurst). 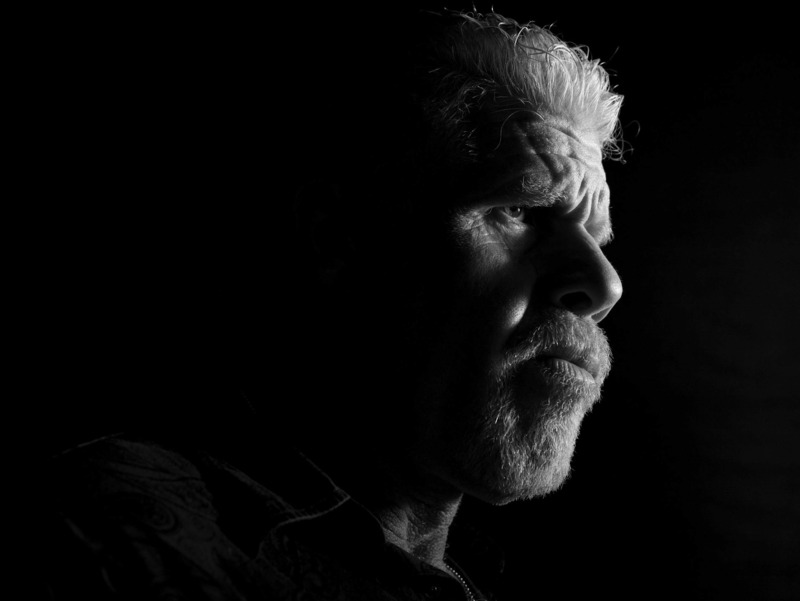 At the open of season six, Clay may be in jail but the world of SAMCRO feels more dangerous than ever. Each of the first three episodes features extreme acts of violence, including a headline-ripping one at the end of the first installment that's bound to cause controversy. Without spoiling anything, I'd find it more exploitative if this were the first season, but Sutter and his team have established the theme of the collateral damage of a violent world on innocent lives pretty succinctly by now and so it seems of a thematic piece with the rest of their work. Some will surely disagree. Just as Sophocles tackled the issue of governing bodies over individual rights in "Antigone," Sutter plays often with the concept of personal needs vs. the greater good of both the club and the community in which it rides, along with, of course, SAMCRO's constant flaunting of the law. Greek playwrights often argued that civil disobedience was appropriate against state law if it answered a higher God. For the Sons of Anarchy, no law is as important as the code of their club and protecting their own. And, as it was with the Greeks, that fealty to a personal code above a Godly one often leads to more danger than safety. Jax is basically the good, noble man defined as a tenet of tragedy by Aristotle, the one placed in a position of power by his lineage (and his controlling mother) from which he cannot escape and that damages so many around him. 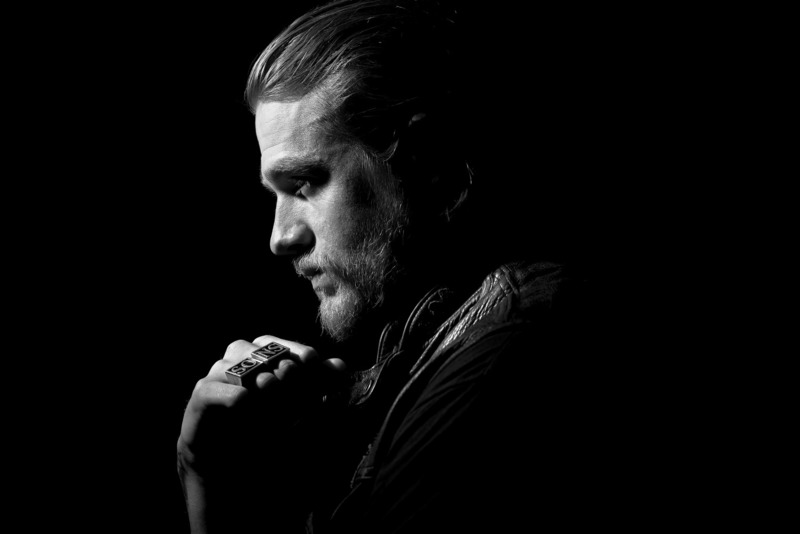 As Jax has seen the impact of the criminal activities of the gang around him, he has tried multiple times to leave SAMCRO but is always dragged back in by practical concerns or, more often than not, a loyalty to his comrades, not unlike a Greek King forced into leadership by right instead of choice. Other elements, like the roles of secondary characters and even the structure of "Sons of Anarchy", nod to the Greeks beyond the extreme violence and themes of fate vs. free will. Almost every episode ends with a song, often played in full, which either comments on the action or enhances the tone of the piece, not unlike the chorus in a Greek tragedy. Also, the Greeks often punished their characters physically and few television supporting players have been more abused than Otto (show creator Kurt Sutter, in a case of creative masochism), a SAMCRO member doing life in prison who no longer has his eyes or his tongue and who is so abused at the start of season six by a mentally deranged former U.S. Marshall (Donal Logue), whose sister Otto killed, that the lunatic lawman has arranged to have him raped in his cell every morning. Gouged-out eyes, bitten-off tongues, people burned alive, a woman stabbed with a crucifix, a hero beaten to death as penance for the club's sins – the continuous raising of the violent stakes on "Sons of Anarchy" has pulled the show from the tone of the Bard to that of something more chaotic or Dionysian. It seems not coincidental that a brothel central to the action in season six is named Diosa Norte. Not only does it remind one of Dionysus in name, but it also translates to "Northern Goddess." Using the heightened stakes of television drama to inspire catharsis in the viewer is nothing new. Watching characters, with whom we can identify, persevere through the proverbial fire allows us to believe we can surmount comparatively minor obstacles in our own lives. And Sutter knows how to play his thematic chords in way that resonates with viewers, much like how the Greek playwrights expertly dealt with the issues of politics and pain with which their audience would identify. Jax Teller may sleep around on his girlfriend and he's killed more than a few people over six seasons, but he has a righteous loyalty to his club and a moral code that has elevated him to an iconic status with the show's fans. Tragedy was how the Greeks wrestled with timeless themes like love, abuse of power, and the fallibility of man. Centuries later, the template hasn't really changed, it just wears a leather jacket.